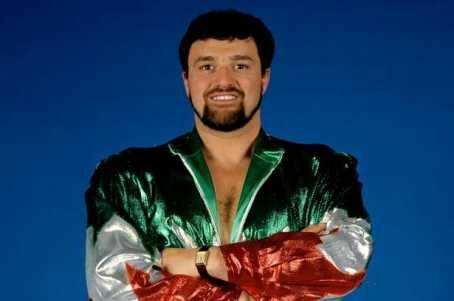 Former WWE superstar Salvatore Bellomo has died at the age of 67 having bravely fought cancer. The 6ft 1in, 240lb wrestler was born in Hornu, Belgium, but billed from Sicily, Italy, and worked as a clean cut fan favourite in the 1970s. He won the NWA Pacific Coast Heavyweight Championship and NWA Canadian Tag Team Championship before joining WWE in 1983. In a statement, WWE said: "WWE is saddened to learn that Salvatore Bellomo has passed away at age 67. "Bellomo competed in WWE in the 1980s, sharing the ring with everyone from Bob Backlund to Bobby 'The Brain' Heenan. After landing a job with the then WWF, Bellomo earned a series of notable wins, leading to a big showdown with Bob Backlund. He was defeated by the ex-heavyweight champion at the Philadelphia Spectrum in August 1984, in Backlund's last WWF match of the decade. After leaving WWE, he became the crazed 'Wildman Bellomo' and joined NWA Eastern Championship Wrestling, the precursor to Extreme Championship Wrestling (ECW). He wrestled in the first ECW Championship match, losing to Jimmy Snuka, before his departure in 1994, but continued to wrestle into the 2000s, winning more title gold. Bellomo captured the top title of Florida's World Xtreme Wrestling in 2000 and later trained performers at the Belgian Wrestling School in his native country.